Understanding how the brain works is my thing. Using this knowledge to care for my brain, support it so that it can function at its best is my passion. I know how much our brain’s are struggling to cope with the demands of this hectic, fast paced modern lifestyle – I see it every day. We are experiencing decision fatigue, sensory overload, processing overwhelm, cognitive and physical hyperactivity – all of which leads to the heightened state of arousal known as anxiety. And this is why I love Life Sorted. 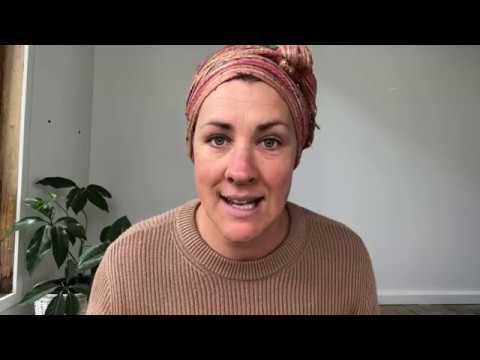 Click to watch my video to find out exactly what’s going on in your brain, and why Life Sorted is really nailing brain care and assisting a generation of anxious, busy, successful parents to thrive. Hi everybody! My name is Allison Davies and I’m a neurologic music therapist and I specialise in brain care, which is all about understanding how to care for your brain, knowing what it likes and knowing what he doesn’t like, so that you can support your brain to function at its best. Now, this is super important in this very rushed, hectic, modern lifestyle we live, because most of us aren’t functioning at our best. There is just too much stuff too many things in our environment, too much that we’re trying to get done, too much that we’re trying to get done simultaneously at the same time, and too much to think about, too much to make sense of. So it’s really important when we’ve got all of this stuff going on in their lives to have a really simple and very predictable way of storing that information. I want to talk about an app called Life Sorted, which I genuinely, legitimately love because it does all the things we wanted to do to care for our brain, to support it, to function at its best. The number one thing that I love about this app is that it’s predictable. What we know about the brain, one of the things we’ve learned in the last decade is that the brain needs to be able to predict. It loves to be able to predict. And that means when you open something like the Life Sorted app and you know exactly what it’s going to look like, you know exactly what to press, you know exactly where your tasks are – it’s predictable. It’s the same thing every time it’s your ‘go to’. And when your brain has a ‘go to’ it doesn’t get overwhelmed and that means you don’t experience anxiety. I for one, know what it’s like to make lists. I make lists on the back of bills. I make lists on sticky bits of paper. I make lists on my hand. All of those things can get lost and they wash off and things don’t end up getting done. So having them able to be stored in a space like Life Sorted, where they’re always going to be there and you know exactly what to expect when you open it up, makes life so much simpler for our brain. One of the other things I love about Life Sorted is that you can easily delegate. This is one of the things that has been difficult. I don’t know of any other way where you can delegate tasks and share responsibilities as seamlessly as you can through Life Sorted. Sharing responsibilities and delegating tasks is so important because we are experiencing levels of decision fatigue that we never have before. Literally throughout the entire history of humanity. We have never had so many things, so many things to do and so many decisions and choices to be made as we do right now. And we create abundance in our lives because we it makes us feel like we have opportunities and options and it makes us feel – we love the feeling of abundance. But the paradox of choice means that we have got too many things to choose from. Too many options for our poor brain to deal with. So delegating tasks, sharing responsibilities is so important for our brain care. And you can do that in Life Sorted seamlessly without having to nag. It’s amazing. Ultimately, the thing that I love about Life Sorted is that it removes, it removes clutter. It removes not knowing what to do next. And those things are what create anxiety. Overwhelm and overload come from not knowing what to do next or not being able to process the information and Life Sorted solves that. It solves the overwhelm and overload. So, essentially it is reducing our anxiety or avoiding the onset of anxiety. When we don’t experience the overload and the overwhelm, we stay in a very balanced state. We don’t go into that heightened arousal of, oh my gosh, what am I meant to be doing? Who was doing that? Were you doing that? Argh! All of that. When we avoid that, we feel good. When we experience that is when our brain can’t function at its best. So please, please consider, trying out Life Sorted and experiencing for yourself the calm and clarity and higher sense of functioning that can come with reducing all of the decisions, all of the overwhelm, all of the clutter. You genuinely will notice the feeling. It’ll change the way you feel in your body. It will change your mood. It will help you sleep. I really honestly can’t say highly enough. Go try it. Ok. I’m Outta here. Bye.